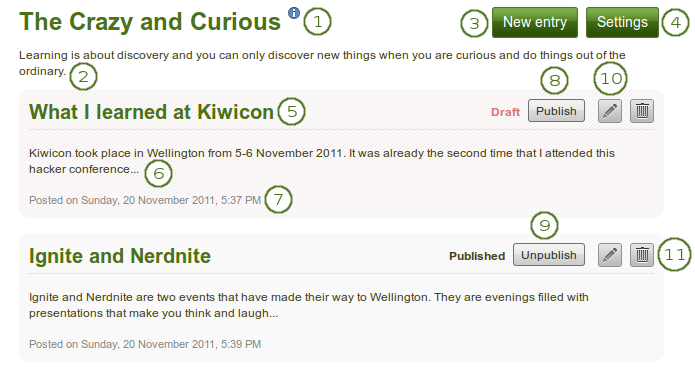 Click the Edit button to make changes to your journal entry. Click the Delete button to delete your journal entry. 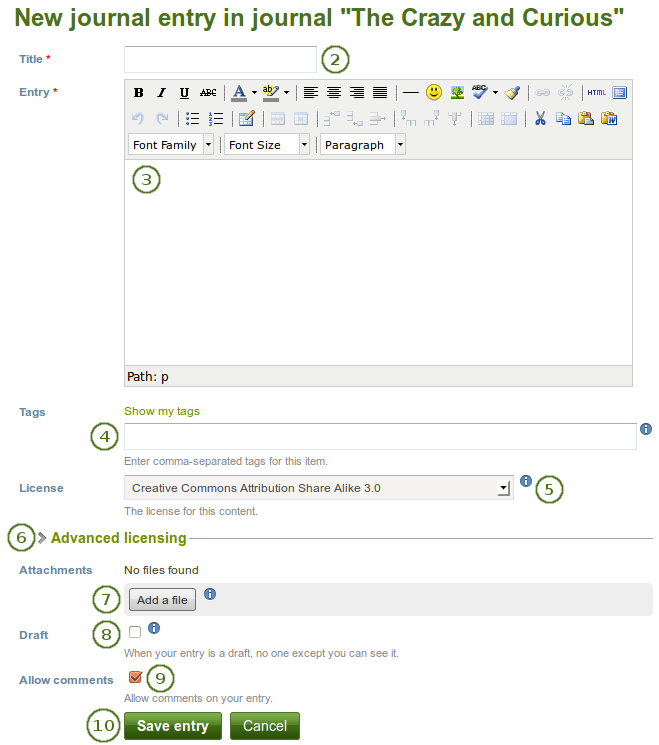 Allow comments: Check this box if you want to receive comments on the journal entry. 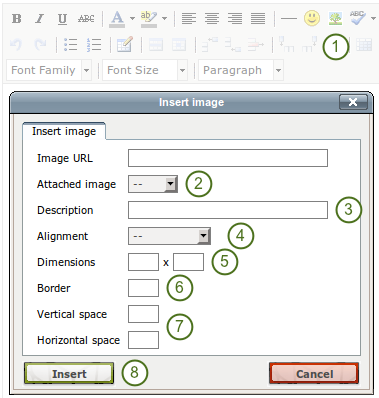 Click the Add a file button and then the Select button to select the file(s) from your Files area that you wish to attach. If you attached a file that you do not wish to attach anymore, you can click on the Remove button to take it off your list of attachments. Once you are done, you can click the Close button. Images that are freely accessible online are easy to add to a journal entry. However, make sure that you have the permission to use this image in your portfolio. 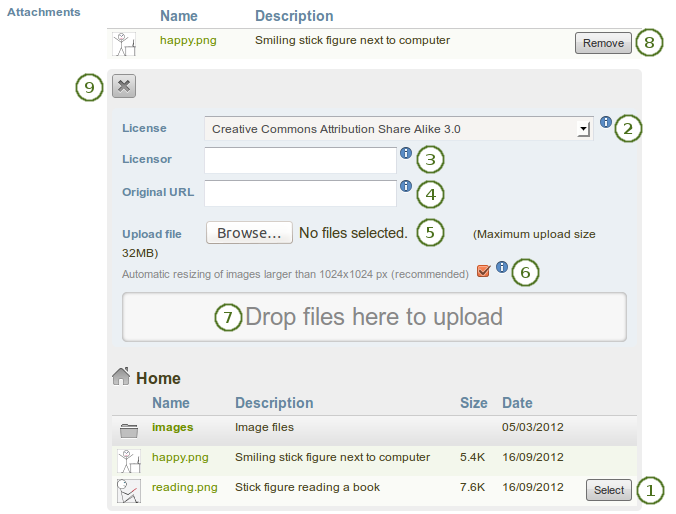 Image URL: Paste or type the image URL into this field. It must start with http:// or https://. Description: Provide a brief description for your image. Alignment: Select the alignment of the image in relation to the text. Dimensions: Change the size of your image. If the image is recognised correctly, you have the image’s dimensions displayed. Border: Add a simple black border to your image if you wish to do so. Vertical / Horizontal space: Add more space around the image by adding a number in Vertical space and / or Horizontal space. Click the Insert button. Alternatively, click the Cancel button if you want to abort inserting the image. The dimensions for width, height, border, vertical and horizontal space are given in pixel. The first value is for the width and the second one for the height. Only change one of the dimensions and delete the value from the second to retain the original proportions of the image. If you are not happy with how the image looks in your journal entry, select it (it will get little square handles) and click on the Image button again to make adjustments. Attached image: Select the image that you wish to display. You must have had it attached to the journal entry in order to see it here. 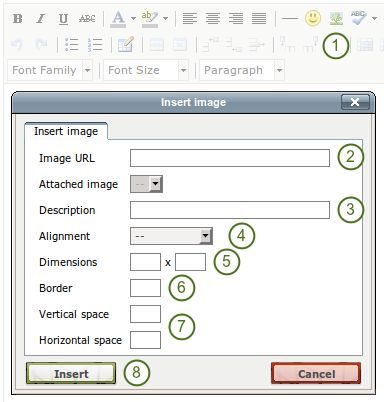 If you are not happy with the alignment or the dimensions of the image in your journal entry, select it and click on the Image button again to make adjustments. If you wish to use more journals, e.g. to put your writing into categories for making all posts from one category available in a page without having to select each journal entry, you can go to your Settings and tick the checkbox Multiple journals. All your journals are listed on Content → Journals with their titles and descriptions. The titles link through to the individual journals. 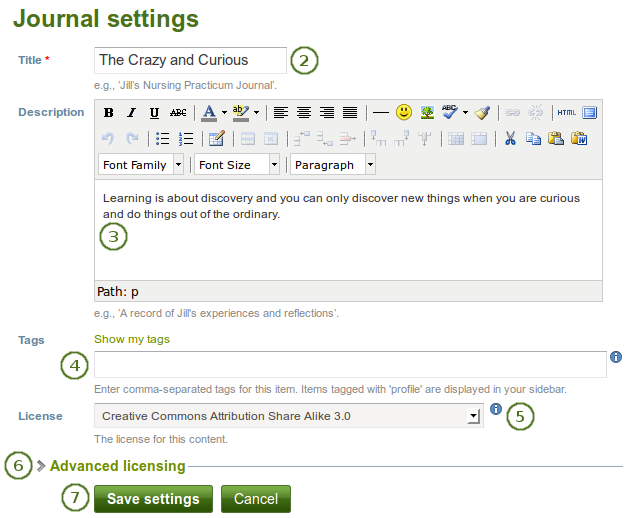 Click the Settings button to make changes to your journal title, description or tags. Click the Delete button to delete the journal and all its entries.